Fototiller introduced me to these wonderful guestbook albums from Adesso. Each page has a 3″ square die cut to display instant polaroid photos. 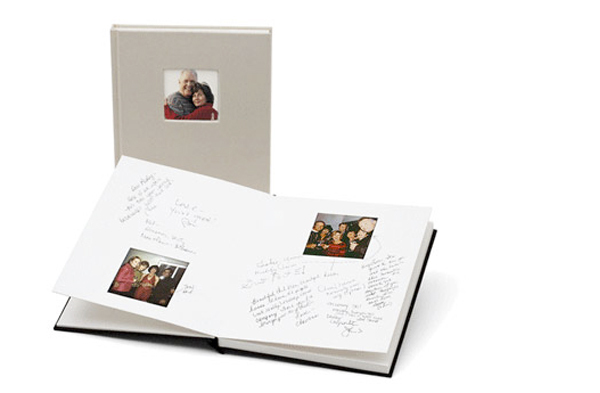 Have your guests snap photos of themselves, insert into the album and leave a note. Perfect for birthdays, weddings, showers, graduations and anniversary parties. Each book is 30 pages can accommodate at least 75 guests if they take group photos.